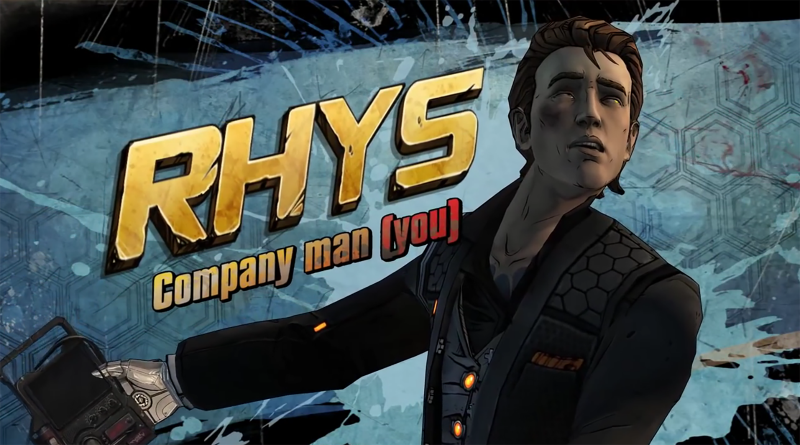 One of the most enjoyable moments in the Borderlands 3 reveal trailer was seeing Rhys, one of the two protagonists from Tales From The Borderlands, make a surprise return. He looks older and is sporting an iffy-looking mustache, but no doubt about it, that's our bumbling yet charming criminal lad Rhys. Though fans have welcomed his return (and have likely hoped for more of the cast to reappear), it appears that the man who gave Rhys a voice isn't too happy about the occasion. Troy Baker, who also voiced Joel in The Last Of Us and Booker DeWitt in BioShock Infinite, recently revealed at a fan convention that he was not returning to voice the character and even spoke at length about his dissatisfaction with Borderlands developer Gearbox, who co-developed Tales From The Borderlands with Telltale. I don't agree with [Gearbox] on how they're handling it...I really want Gearbox to know that if they're going to bring back characters from Tales From The Borderlands. it should be the people who originated the characters. They shouldn’t just recast willy-nilly, because as a fan that matters to me. You can watch the video here for Baker's full discussion of the matter. For more on Tales From The Borderlands, read our write-up on why it's the best game Telltale ever put out. This article was updated on April 10 at 3:14 PM CST to include Pitchford's response.